What is the best computer power supply for the money? No matter what type of computer you have, learn what's the best PC power supply to buy today. 1. It hails from a reputable brand - Antec, Corsair, Enermax, FSP, OCZ, PC Power and Cooling, Seasonic, Silverstone and XFX are well recognized as the best computer power supply brands. Coolermaster, Rosewill and Thermaltake produce solid power supplies as well, but it's best to avoid their low end models. 2. It has been certified 80 Plus (at least 80% power efficient). For power users such as gamers and overclockers, the power supply must be at least 80 Plus Gold (87+% power efficient). 3. It should come with at least two years of warranty. For higher end models, you can expect five years of warranty (or more) from the best computer power supply manufacturers. On the other hand, three month warranties are often dead giveaways for "kaboom" units. 4. It has passed rigorous testing by credible review sites. Besides faring well in expert reviews, positive feedback and recommendations from actual users are important too. Computer technology has progressed to a stage where even the lowest end PCs will suffice for basic users, so what we want here is a low cost power supply that doesn't cheap out on energy efficiency and reliability. Frequently recommended by satisfied users (4.5 stars rating by 400+ Amazon customers), Corsair CX 430W is easily one of the best computer power supply that you can get for under $50. In this price range, it's hard enough finding a 80 Plus power supply by a top brand. Corsair trumps the competition by offering consumers this 80 Plus Bronze model (82+% power efficient), which cuts down on your electricity costs and saves you even more money in the long run. Although this is an entry level model, Corsair doesn't cut corners on its build quality - CWT manufacturing, sleeved cables, ball bearings fan and decent Samxon capacitors produce a reliable power supply with stable voltages. 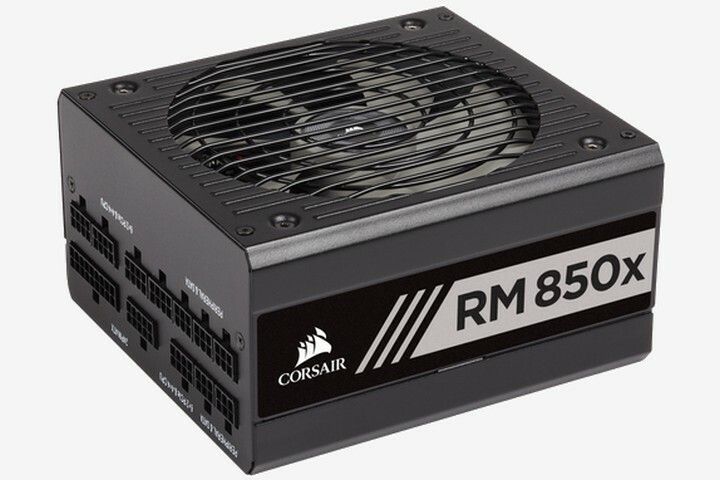 While most budget power supplies do make with warranties from six months to two years, Corsair is giving a three year warranty for this unit. This generous warranty period plus Corsair's excellent customer service works together to give buyers a peace of mind. Of course at this low price point, even the best computer power supply will have its limitations. Its lowish 30°C temp ratings and 12V rail that deliver a so-so 336 Watts means it is less than ideal if you're installing a high end CPU and graphics card or operating your computer for long hours. If those are your needs, then Seasonic G Series 550W will serve you better - See our pick for the best computer power supply under $100 below. Click here for Corsair Builder Series CX 430W's latest price and specs. Office applications, playing media files, casual gaming etc. - A mid range computer is expected to handle a wide range of tasks, so this all-purpose machine needs a versatile power supply that can power a large assortment of hardware... and be durable enough to last for years. The first thing you'll notice about Seasonic G Series is its excellent power efficiency. While most mainstream power supplies are only able to achieve 80 Plus Bronze at best, Seasonic has outdone the competition by giving us a 80 Plus Gold unit (rated at 88 to 91% efficiency in real world tests). This adds up to big electricity savings over the years. Bundled with this modular power supply are ribbon cables that can be detached when unused. Commonly found in higher end power supplies, these flat power cables are favored because they take up less space in a computer case. There are six SATA connectors (for hard drives and optical drives), six Molex connectors (multi purpose) and two 6+2 pin PCI-E connectors (able to power two mid-end or one high-end graphics card). We do have some nitpicks with its power cables: One of the SATA and Molex cables are a fair bit shorter (425mm) and two additional 6+2 pin PCI-E connectors would be nice. But to be fair, most mainstream users aren't going to be using massive full tower casings or installing triple graphics cards so it's no issue to them. 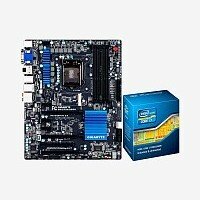 Seasonic G Series's solid build quality also deserves a special mention. Teardowns by respected tech authorities have revealed high grade Japanese capacitors, a well-built transient filter, clean soldering and a double ball bearing ball. Its quality components and manufacturing translates into two things: excellent power performance (rock-solid voltages, minimal noise and ripple levels) and longevity (backed by a generous five year warranty). Click here for Seasonic G Series 550W's latest price and specs. Considered by many to be the best computer power supply for gaming and high end systems, let's find out what makes Corsair AX760 so popular with gamers and enthusiasts. A top of the line model hailing from a top brand, Corsair AX760 certainly has big shoes to fill. Right off the bat, its highest possible 80 Plus Platinum rating pulls it ahead of the competition. Rigorous testing by authority sites (TechPowerUp, Guru3D, HardwareSecrets) have rated its power efficiency at an impressive 90 to 93% under different loads. More than just saving dollars off your electricity bills, it is also a testament to Corsair AX760's superior design and engineering. As you can expect from a high end model, this is a 100% modular unit with flat power cables that you can detach from it. One, this reduces cable clutter and makes cable management a breeze. Two, it maximizes air flow and lowers the temperature within the computer case, improving overall hardware health and overclocking performance. Its selection of power cables can be summed up with one word: overkill. With six 6+2 pin PCI-E connectors, eight Molex connectors and twelve SATA connectors, this unit is able to power three high end graphics cards, 12 hard drives (or optical drives) plus all the cooling and accessories you will ever need. A single +12V rail combined with 760 Watts output means this beast is able to handle up to four mid end or two top end graphics cards with ease... so you can install a graphics card now and have the headroom to add more in the future. First class components (Sanyo Denki fan, Chemi-con & Enesol solid caps) + exceptional manufacturing (separate mosfets PCB, shielded AC receptacle, flawless soldering) = stellar power performance (90 to 93% power efficiency, 900+W output, near-perfect power stability). No wonder it has wowed so many reviewers and won so many awards from respected tech sites. While noise levels aren't the biggest concerns of gamers, you'll still be happy to know that this is a very quiet unit. In fact, the fan doesn't even spin up until it hits 70% load. And let's not forget its impressive seven year warranty, so it's not just the best computer power supply in its class... but also the only one you'll need for a long, long time. Click here for Corsair Professional Series AX 760W's latest price and specs. 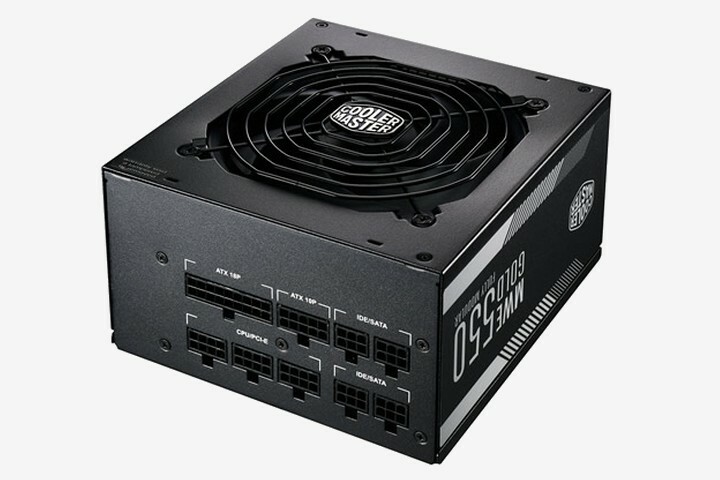 The best computer power supply for a HTPC needs to have two key qualities: One, it has to be space saving so that it can fit inside a small form factor case. Two, it must be silent to avoid noise distractions while you're listening to music or watching videos. Widely considered as one of the best computer power supply for the money, let's find out what makes Seasonic M12II a long time favorite with HTPC owners. Being a semi-modular unit, you can detach any unused cables to free up space inside a cramped HTPC case. Proper sleeving on its power connectors also helps to minimize cable clutter and improve air flow within the case. Seasonic has a reputation for producing the quietest power supplies even among top tier PC power supply manufacturers. This M12II in particular has won universal praise among expert reviewers for being whisper quiet. Even under a full load, It purrs along at less than 30 decibels and you can expect the noise level to pummel to about 20 decibels for a typical HTPC. Despite being compact and silent, it is able to deliver up to 620 Watts, giving you ample power to add a discrete graphics card for gaming or viewing ultra high quality videos (e.g. 4K videos). And let's not forget this power supply is certified 80 Plus Bronze (82%+ power efficient) as well, so it will draw less power and save you money in the long run. Bundled with a five year warranty and selling for less than $90, there is very little to complain about Seasonic M12II. Some lesser brands are able to offer higher efficiencies or more connectors for the same price, but they don't come close to M12II's build quality and reliable silent performance. We highly recommend it as the best computer power supply for a HTPC. 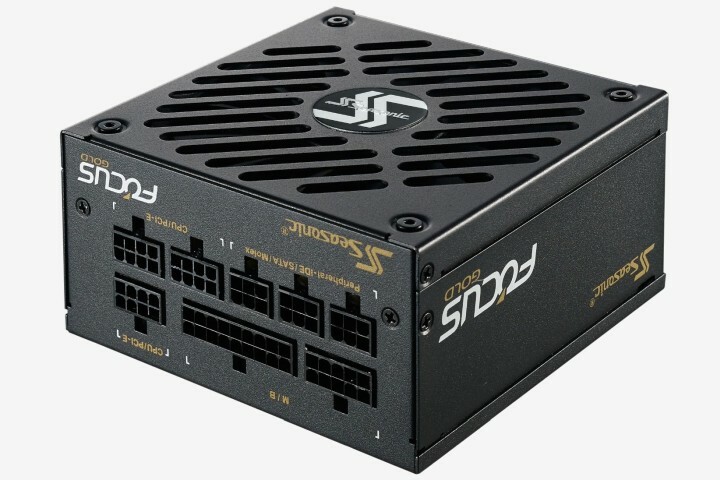 Click here for Seasonic M12II Bronze 620W's latest price and specs. 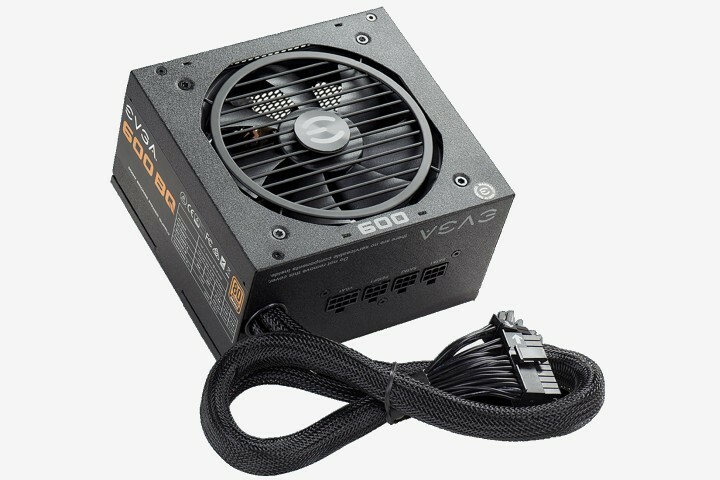 Should You Buy a 80 Plus Power Supply? What is a Modular Power Supply? Should You Buy a Regular or Modular PSU?